Losing weight doesn't just help you fit into more flattering clothing. Weight loss leads to important changes in your body such as lower blood pressure, less risk of diseases related to obesity and better cholesterol levels. 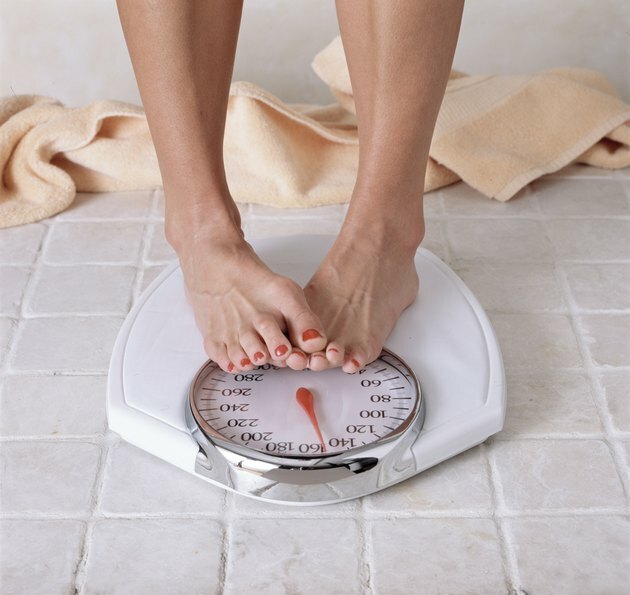 Even if you have dozens of pounds to lose, rapid weight loss isn't the answer. To lose weight successfully over the course of three weeks and keep it off in the weeks that follow, setting a modest weight-loss goal and using a calorie tracker is ideal. If you've planned to lose weight over three weeks, it's normal to want to shed a significant number of pounds. Doing so, however, isn't practical. The Centers for Disease Control and Prevention and National Heart, Lung, and Blood Institute suggest that a weekly weight-loss goal of one to two pounds is suitable. If you're able to successfully lose weight at this rate, expect to lose between three and six pounds during your three-week commitment to health. If you wish to lose weight over the coming three weeks, increasing the amount that you exercise is necessary. The specific exercises you add to your workout routine depend partly on what you enjoy and find convenient, but your workout should include cardio exercises and strength training. Examples of cardio include swimming, running and aerobics, while strength-training exercises include weight training and body-weight exercises. Your weekly weight-loss workout should ideally include at least a pair of strength-training sessions and around 300 minutes of cardio. Even if you increase the amount that you exercise, you'll significantly improve your chance of shedding a few pounds if you make healthy changes to your diet, according to the American Council on Exercise. The Harvard School of Public Health recommends making a number of simple dietary changes to help you lose weight. These changes include avoiding the temptation to adopt a fad diet, cutting out sugar-laden beverages and evaluating everything you consume. For example, if you're tempted to eat a bag of potato chips, pause and consider a healthier alternative, such as carrots and celery sticks. The key to losing weight is to put your body in a calorie deficit, which is the result of consuming fewer calories than you burn. If you can keep your body in a deficit over the entire three weeks, you'll successfully experience weight loss. One pound of fat consists of about 3,500 calories. If you plan to lose one pound per week, you'd need to burn an excess of 3,500 calories over seven days, or an average of 500 extra calories per day. To lose two pounds per week, increase your daily calorie deficit to 1,000 calories.